The Jeremy has a golden stainless steel frame and supports an over-stuffed seat and back which gives this lounge chair a contemporary look that pairs well with both traditional and modern design styles. 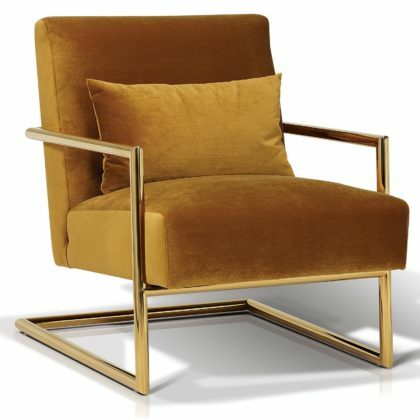 The squared structure of the framing makes the chair stable and capable of being matched with almost any motif or decor. 27" x 34" x 32"